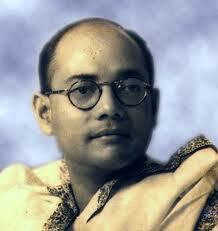 Did ‘Netaji’ Subhash Chandra Bose die in a plane crash in Taiwan on August 18, 1945? The question is once again back to haunt historians and Netaji’s numerous followers alike after the Allahabad High Court’s order directing the government to take a fresh look into the matter. The order comes in a case filed 27 years ago to ascertain whether one mysterious ‘Gumnaami Baba’ who lived in Faizabad for several years was actually Netaji himself. According to history books, Netaji, founder of the Indian National Army (INA) and one of the leading lights of the Indian independence movement, died in a plane crash in Japan in August 1945. His ashes are kept in Tokyo’s Renkoji temple. But the mystery surrounding his death is yet to be solved. “The personal articles, documents and photographs recovered from his room after his death (on September 18, 1985) clearly show that Gumnaami Baba was indeed Netaji. But it is unfortunate that no one has probed the matter seriously enough to reveal this truth,” says Shakti Singh, president of the Subhash Chandra Bose Rahstriya Vichar Manch, who is a petitioner in the case and has written a book on the Baba. Three inquiry commissions have probed Netaji’s mysterious death but their reports have thrown up more questions than they answered. The last probe panel under Justice MK Mukherji had concluded that Bose did not die in the plane crash. The court chided the Centre for not conducting a DNA test on the ashes at Renkoji Temple (Tokyo). The bench has directed the state government to establish a museum to preserve Baba’s belongings. The Gumnaami Baba is reported to have come to Faizabad sometime in the 70s and was first reported to the police by a local in 1977 for his “suspicious” activities. Very few people saw him as he did not meet anyone except for the few he trusted. Also, there is not a single picture of the Baba. “Every available evidence clearly shows the truth but for some reason no one wants to accept it,” says Dr VN Arora, principal of the Saket Degree College, Faizabad. Shakti Singh points out that Netaji’s niece Lalita Bose, who filed the first petition after his death, used to visit him as did his other close friends and relatives. Lila Rai of the INA also came to meet him, he says. Netaji’s personal physician Dr PC Bannerji and his trusted domestic help Saraswati told people before they died that the Baba was indeed Netaji. However, the Mukherji commission which briefly looked into the Gumnaami Baba episode did not attach much importance to these things.